…..In the alcohol industry there are two things that will make or break your brand. One and possibly the most obvious would be great taste and the other, excellent marketing. 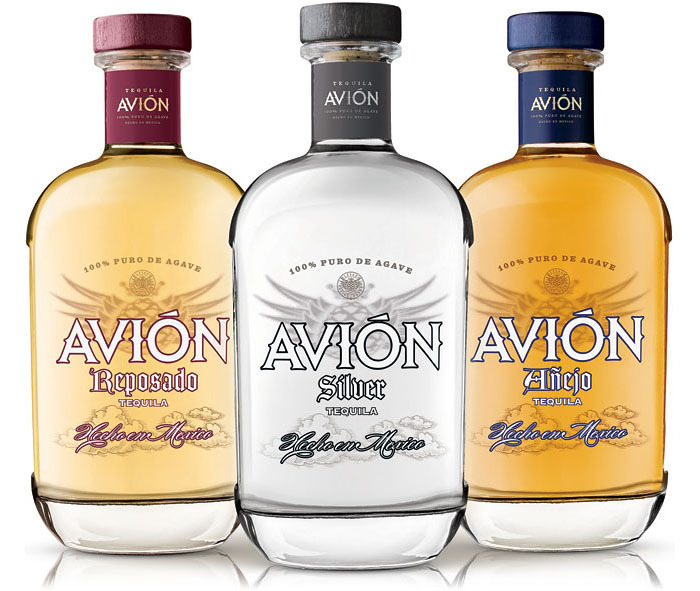 Superior taste often goes unnoticed without the proper marketing tools to get the word out and likewise all the marketing in the world would be pointless if you’re pushing an inferior product; Enter Avion Tequila. Possibly the most genius marketing I’ve seen out of a liquor brand in quite some time. Though it may not be available in your area (yet), chances are you recognize the bottle and name because it was a mainstay on the popular HBO series “Entourage” for several episodes. And though its entertaining storyline on the show was a work of fiction, it’s existence and superior taste most certainly are not. So thanks to great advertising you’re already familiar with the tequila and hopefully with a little help from myself you can get to know it better. Appearance: The bottle is nothing fancy and in fact a shape many are familiar with, short stubby and round. No knock here. One thing I do like is that they use a cork stopper which use to be common but is becoming more and more scarce with companies switching over to synthetic stoppers. Something about it makes it feel more authentic. Aroma: Sweetness and floral notes hit you right on the nose. Also fruity tones of pineapple are apparent. Nothing gets you excited to eat or drink more than a great aroma enticing you to dig in. Taste: At the end of the day whether you’re an expert or novice in the drinking field you want to know one thing; Is it smooth? One word, Yes. Smooth, balanced, and offers a bit of a bite to it that I was only prepared for because I was warned by a friend. It has a bit if a spicy/peppery bite to it which may scare some off but would most certainly make one hell of a Bloody Mary. If you haven’t tried a Bloody Mary with a super fine blanco tequila you are missing out by the way. This one is definitely a winner in my books and though I’ve only had the silver (not for long I hope), I think I can say with confidence this brand isn’t going anywhere anytime soon except in your cup. If you’re having doubts just ask yourself, has Vinny Chase or any of the Entourage boys every let you down? I think not. Muddle lemons and Limes in a shaker (Should be approx 1 oz of juice). Add ice and all Ingredients shake until ice cold and serve in a chilled Martini glass. Garnish with a lemon Twist and Lime wedge. In a highball glass filled with ice fill glass with tomato juice or clamato and add ingredients. Recipes were provided courtesy of Tequila Avion. For more information on where you can purchase their products feel free to visit their website.